Grab your camera and climb in the boat. We’d like you to join us on a demonstration of one of our most fascinating services—a lake survey. We’ll be using electrofishing techniques to collect a sample of the fish population and assess its health. Surveys enable biologists to profile common species, their pattern of development and, very importantly, the strength of a lake’s food chain. There’s a dip net along the side rail. A pedal to activate equipment is under the front bow platform. Push us away from the shore. We’ll cruise average depths to six feet. Electrical probes will skim vegetation, fallen trees and other habitat. Temporarily stunned fish will rise to the surface. Dip them and place each in the center aisle live well. After collecting the sample, you can help weigh and measure largemouth bass. We’ll compare your bass statistics to those with normal growth rates. We’ll count and measure all bluegill and other species. It’s important to find varying size classes of each to insure on-going generations. All fish will be released unharmed with no side effects. 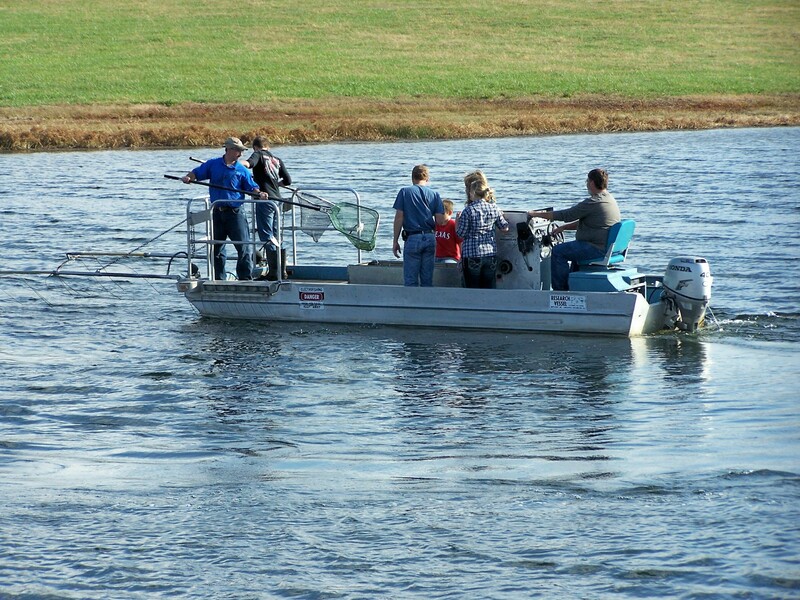 During electrofishing, you’ll observe water quality, vegetation conditions, and basic habitat. We’ll take a water sample for standard testing. We’ll check for trees on the dam, seepage behind the dam, spillway conditions, flood control pipe maintenance, and signs of beaver or otter traffic. While collecting data, we’ll have an in-depth discussion about your goals for the lake. After interpreting field notes, we’ll send a comprehensive report on findings and a management plan to achieve long-term goals. The survey becomes a base line to monitor future progress. If we conducted a spring survey, we can do a fall follow-up or analyze year-end catch records to check fish growth this season. Many lakes we survey start out overpopulated with bass and other predators that overeat the food supply. Harvest is critical to a balanced fishery. If limited angling opportunities prevent reaching harvest quotas, we can electrofish problem species or undesirable rough fish that migrate into your lake from surrounding watersheds. 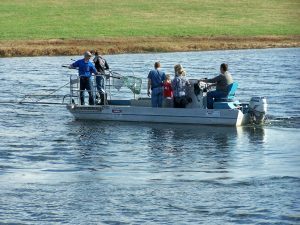 Whether fish need a check-up, or you want to evaluate a newly purchased lake, surveys are a worthwhile investment to the future health and enjoyment of a lake.